Trick or Treat! That is what I will be hearing all evening from my daughters and the neighborhood kids – and it is great. I had the TLC Creative design staff develop a treat for everyone – a free Halloween themed PowerPoint .pptx template. Download here (255K) . The ‘Happy Halloween’ text at the top was created in PPT 2010. Here is my show I just finished and the three views of it. 1. My view, the Graphics View. And all three views have the PowerPoint slides. On most projects my work area is setup backstage. But on this particular project, there was no backstage (front projection), and the tech table was completely in use. So I basically setup shop in the audience. 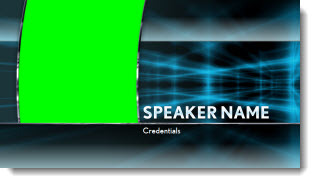 Renewed as Microsoft PowerPoint MVP! Just a personal note that I am very honored by. 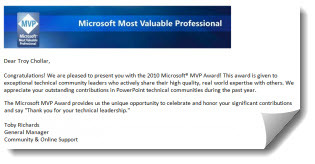 I have been awarded as a Microsoft MVP for PowerPoint again (basically renewed)! We went with the standard green screen green. The key was to assure no slide had any solid green on the left half of the slides. During the show, the video switch would bring in the camera shot (rectangular) and it would fill the curved green area to create a custom speaker IMAG window. 1. 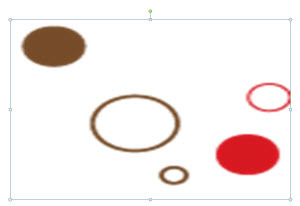 Here is my very small image. 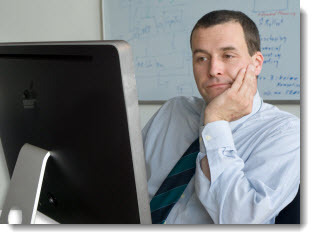 It is a .png image, 102×102 pixels and only 2KB file size. 2. 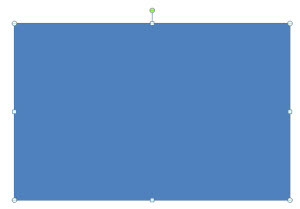 Here is the large rectagle shape on my slide. 3. 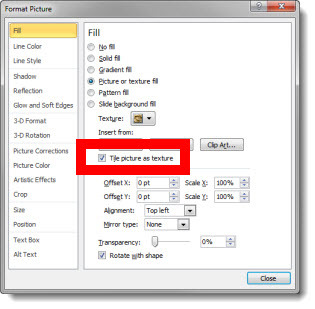 I then change the fill from SOLID to PICTURE OR TEXTURE FILL, then FILE and finally choose my seamless texture image. 4. This is the first result – which is not the final result. 5. Click TILE PICTURE AS TEXTURE. 6. This is now the same image. 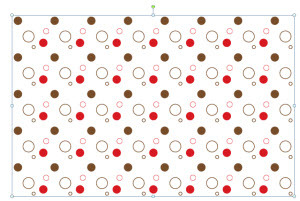 It can be resized, to any size and the pattern background does not distort or loose quality. 7. 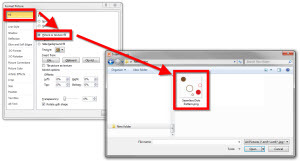 In addition any of the formatting options can be applied, because it is a PowerPoint shape. 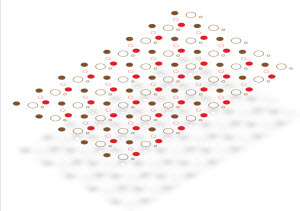 Here I used the 3D Rotation and a drop shadow to create a new, very small file size, image for my slide. 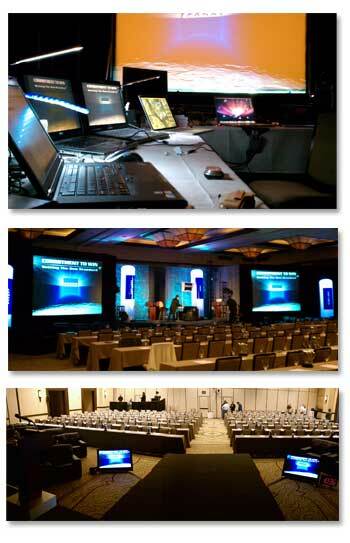 The 2010 Presentation Summit concluded today and it was a really great event. 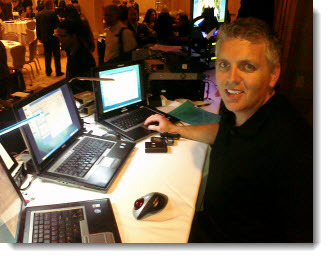 It is the one public event each year that has a large gathering of the Microsoft PowerPoint MVPs – and Microsoft PowerPoint developers and managers. Garr Reynolds (author of Presentation Zen) was the morning keynote speaker at this year’s Presentation Summit – live from his home in Japan. This was probably one of the most engaging remote/webcast presentations I have seen.The small rectangle in the lower left is the webcam Garr had of the audience. He managed a very entertaining and audience interactive presentation. 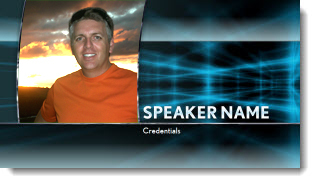 I am heading down to San Diego today (yes, I am located in San Diego, but handling graphics for a corporate event in Los Angeles for the past week) to spend a few great days at the 2010 Presentation Summit. When the client does image research and finds the perfect image – great! 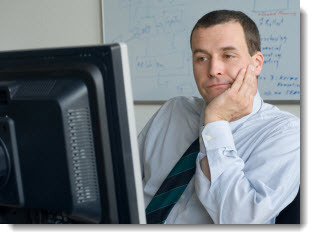 But when the perfect image has a Windows PC vs. a Mac it is time for some Photoshop work. Here is the original image with the “windows” monitor.